Looking for some out-of-the-ordinary gifts for your one-of-a-kind flower girl? You're in luck! We've spotted some fantastic gifts she's sure to enjoy. 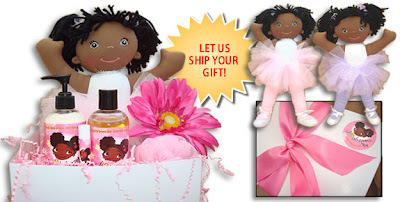 Our favorite pick is this adorable Ballerina and Bath set from J. Blossom It comes with a ballerina doll, natural body lotion, bubble bath/shower gel, lip balm, and a bath puff. Perfect! its very nice posting.really a graceful. its a great one i really like it. this is a great blog. i really like it. Its really a wonderful blog, i like it.